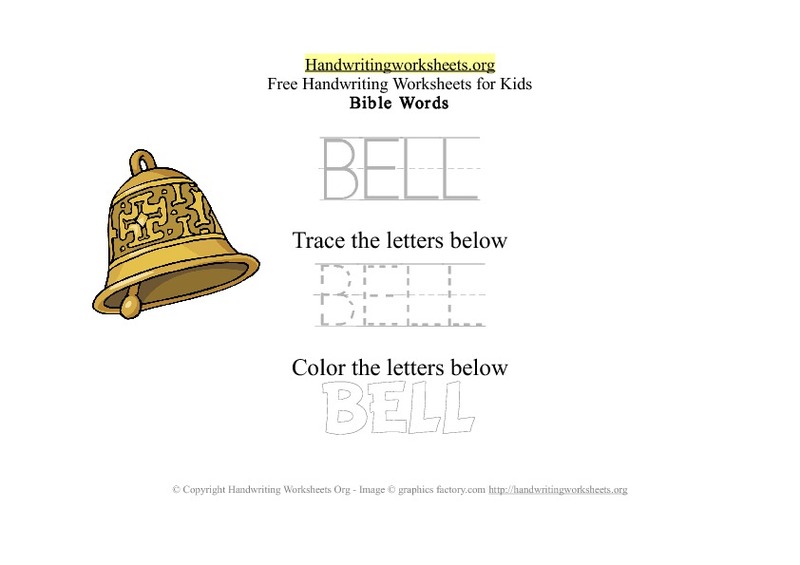 Church Bell handwriting printable. Practice tracing bible words in capital uppercase letters. Part of our Bible words selection of handwriting worksheet activities. 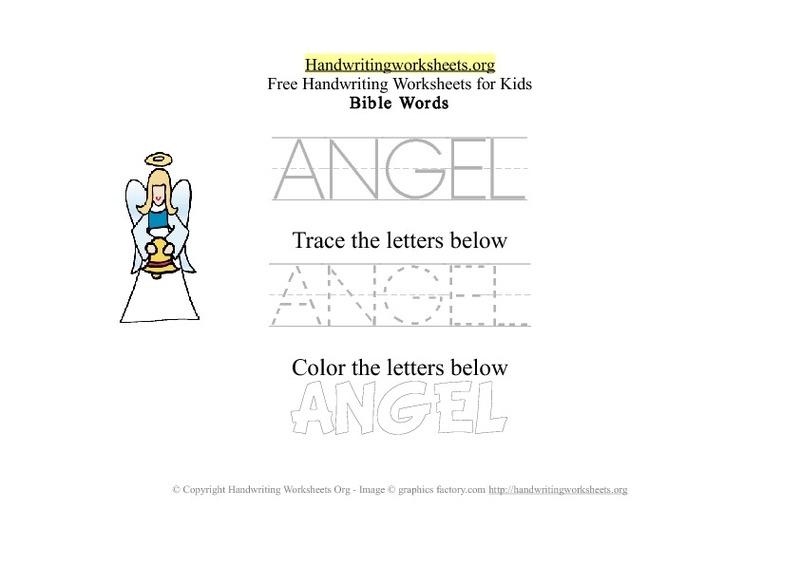 Angel handwriting printable. Practice tracing bible words in capital uppercase letters. Part of our Bible words selection of handwriting worksheet activities. A to Z handwriting worksheets with words. Practice tracing the letters from A to Z with Kindergarten vocabulary words in capital uppercase letters. Our free alphabet letter word worksheet for kids is available in pdf with random Kindergarten vocabulary words. 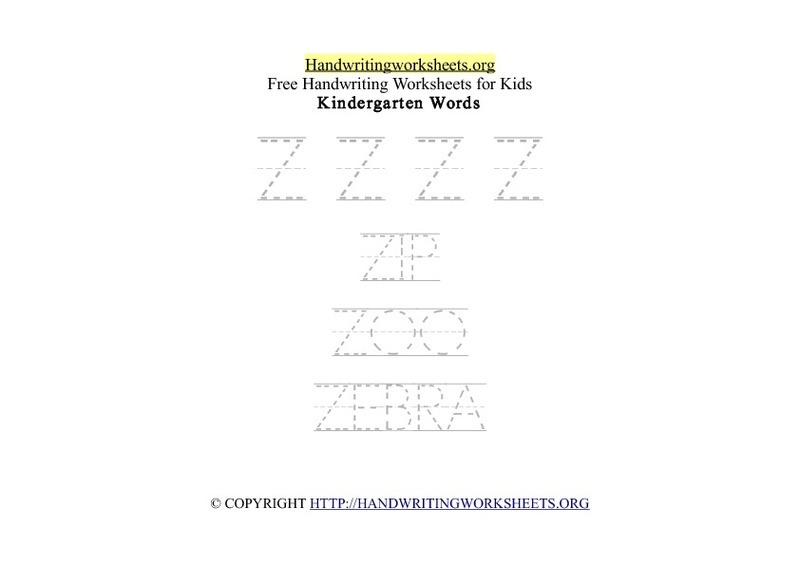 Letter Z handwriting worksheets. Practice tracing the letter Z in capital uppercase including Kindergarten vocabulary words that begin with the letter Z. Our free alphabet letter Z words worksheet for kids is available in pdf. Words to trace: ZIP, ZOO, ZEBRA. Letter Y handwriting worksheets. Practice tracing the letter Y in capital uppercase including Kindergarten vocabulary words that begin with the letter Y. Our free alphabet letter Y words worksheet for kids is available in pdf. Words to trace: YES, YOU, YARD. Letter X handwriting worksheets. Practice tracing the letter X in capital uppercase including Kindergarten vocabulary words that begin with the letter X. Our free alphabet letter X words worksheet for kids is available in pdf. Words to trace: X-RAY. Letter W handwriting worksheets. Practice tracing the letter W in capital uppercase including Kindergarten vocabulary words that begin with the letter W.
Our free alphabet letter W words worksheet for kids is available in pdf. Words to trace: WE, WATER, WINTER. Letter V handwriting worksheets. Practice tracing the letter V in capital uppercase including Kindergarten vocabulary words that begin with the letter V.
Our free alphabet letter V words worksheet for kids is available in pdf. Words to trace: VAN, VERY. Letter U handwriting worksheets. Practice tracing the letter U in capital uppercase including Kindergarten vocabulary words that begin with the letter U. Our free alphabet letter U words worksheet for kids is available in pdf. Words to trace: UP, USE, UNDER. Letter T handwriting worksheets. Practice tracing the letter T in capital uppercase including Kindergarten vocabulary words that begin with the letter T.
Our free alphabet letter T words worksheet for kids is available in pdf. Words to trace: TALK, TODAY, TREE. Letter S handwriting worksheets. Practice tracing the letter S in capital uppercase including Kindergarten vocabulary words that begin with the letter S.
Our free alphabet letter S words worksheet for kids is available in pdf. Words to trace: SAD, SEA, STICK.